Dental implants are a wonderful, permanent alternative to replace missing teeth. There are numerous benefits for having single or multiple implants. 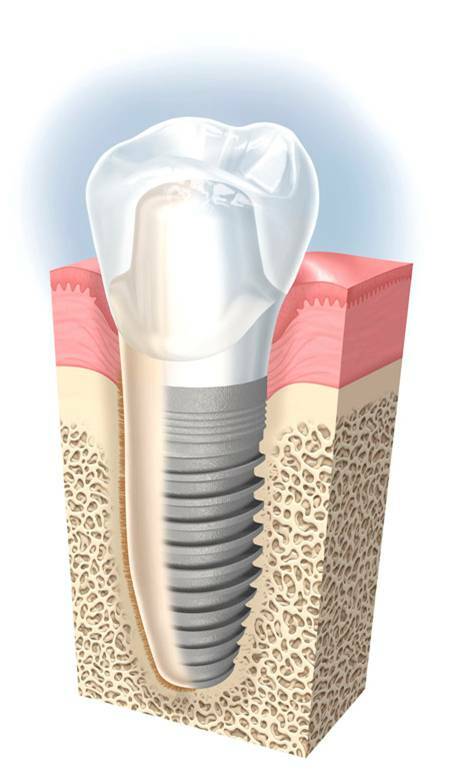 -Implants take the place of the tooth root below the gumline. This helps to keep the jaw bone in place. Without a tooth, over a period of time, the jaw bone slowly melts away. -Implants do not decay like a natural tooth can. -Implants stabilize and increase chewing ability. proper position to prevent shifting.